Applying is a process that takes time and dedication to complete. Attend in person or online! Whichever option you choose, your CareerUp information session will give you all the information you need to understand how our program works and how to get started. Sign up today! Your CareerUp information session will provide you the instructions, documents, and links you need to complete your application. Be sure to finish Step 1 before you dive into Step 2. This step will help us assess your current reading and math levels. In addition, you will complete a professional skills and interest assessment. Your results from this step will help us build your individual education plan. Returning to school as an adult can be intimidating. 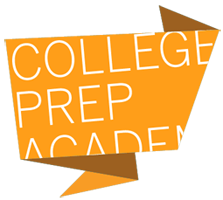 Please note, in order to go through The College Prep Academy you must meet a minimum fifth grade reading and math level. In this final interview, a Director will talk with you about your commitment, your career choice, and how you plan to give back to the community once you graduate. A final decision on your acceptance will be made at this step.